July 23, 2015 -- The food you’re placing in your grocery cart may not be exactly what it says it is. One-hundred percent olive oil? It could have canola or peanut oil. Honey? Might be mostly cane syrup. Parmesan cheese in a can? You might be shaking a little wood pulp out with the cheese. And there’s really no way of knowing. Food adulteration happens when something is added or taken away from a product without including it on the label. A recent Congressional Research Service report estimates that it affects about 10% of all products sold, although it says that number is probably a fraction of how often it really happens. The fallout may cost the global food industry $10 billion to $15 billion per year, according to an estimate from the Grocery Manufacturers Association. There’s another cost that’s harder to explain in numbers: Loss of consumer trust. “It’s a very unsettling issue, because we all depend on food, and it’s devastating for consumer trust,” says Markus Lipp, PhD, senior director of food standards at US Pharmacopeia. The nonprofit agency helps set quality standards for food, drugs, and supplements. Lipp says adulteration is driven by money. It costs less money to thin out or substitute the product with cheaper ones. The substitutions could also have a health impact, particularly for people with food allergies. The FDA reported at least 12 allergic reactions caused by cumin from India that was contaminated with peanut proteins. The cumin was part of a recall in 2014. Spices are among the most common food products that are adulterated, according to the congressional report. Here are some others, according to the report and food experts. Olive oil may be thinned out with hazelnut, soybean, corn, peanut, vegetable, or canola oil. The final product may even contain no olive oil at all. 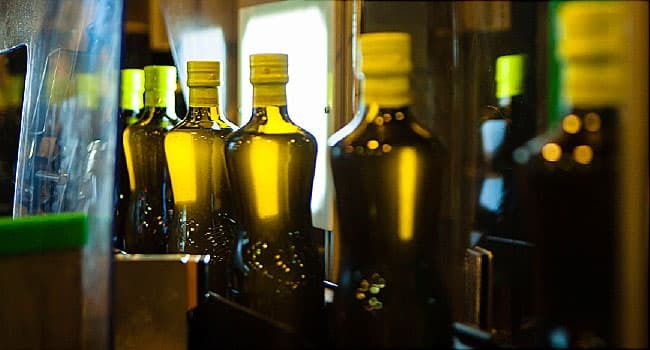 “When oil is ordered in bulk, the bottle will say 100% olive oil, but most times it’ll be 70% canola or soybean oil,” says Selina Wang, PhD, research director at the University of California Davis Olive Center. The olive oil you buy in the store may be adulterated as well, she says. More than three-fourths of honey sold in U.S. stores isn’t what is claimed on the label, says Vaughn Bryant, PhD, professor of anthropology at Texas A&M University. He regularly tests honey in grocery stores. Bryant says it’s estimated that 91 million pounds of honey entered the U.S. illegally from other countries last year. Imported honey may contain pesticides and antibiotics. To save money, some companies will add cane, corn, or beet sugar, as well as rice syrup and high-fructose corn syrup. Seafood producers may substitute less-expensive fish for costlier ones. Red snapper, mahi mahi, swordfish, and cod are often replaced with Pacific rockfish, yellowtail, or mako shark. Producers also add coloring agents to make fish seem fresher and to add weight during storage. Also, "fish high in mercury are substituted for another species,” wrote congressional analyst Harold Upton in a 2015 report. He estimates that up to a quarter of all the products sold as parmesan cheese violate the government’s “standard of identity” -- basically, the rules for what can legally be called cheese. One of the most common ways manufacturers break the law is by adding too much cellulose. Cellulose in food comes from wood fiber, and it’s used to keep products from clumping together. “It should be used at 2 to 3 up to maybe 4 percent. And we see it in the marketplace anywhere from 14 to 32 percent,” Schuman says. Other companies make their cheese with vegetable oils instead of milk. Real cheese should have milk as its first ingredient, followed by salt and maybe enzymes for flavor, Schuman says. These may be watered down or diluted with a cheaper type of juice, such as pear or grape. Some may only contain water, dye, and sugars, but fruit will still be listed as an ingredient on the label. Pear is often used in apple juice. Pricey pomegranate juice frequently includes blends of apple and grape juice, despite being about five times more expensive than grape juice. The FDA is charged with monitoring food adulteration under the Food, Drug, and Cosmetic Act. But the congressional report found it might not be possible for the agency to prosecute every food adulteration incident because of other responsibilities, limited resources, and lack of evidence. “Their [FDA] focus is on safety -- so they spend most of the time on predicting these incidents before it becomes a major health risk,” says John Larkin, PhD, research director of the National Center for Food Protection and Defense. The Food Safety Modernization Act, which is being implemented, provides the FDA with “new inspection and enforcement tools” to help ensure food companies are “carrying out their responsibilities,” McSeveney says. It will also allow the FDA to establish a program where the food industry will reimburse the agency for some inspection and enforcement activities. Larkin and Michigan State University food expert John Spink, PhD, say industry is taking a more active role in policing itself. Spink is director of the Food Fraud Initiative at Michigan State. He also helped create standards for food safety set by the Global Food Safety Initiative. It’s a group of non-government food companies working to create universal food safety standards. Grocery Manufacturers Association member companies have programs and procedures, including testing, to help ensure safe and high-quality products, Kennedy says. Manufacturers continuously monitor and review these. Cheese importer Schuman says it’s also an issue of transparency. Buy products locally if you can, such as honey. Talk to the producer. Buy foods in a minimally processed form, such as whole spices vs. ground. Be wary of prices that appear too good to be true, such as low-priced extra virgin olive oil. Buy from reputable brands and sources, because they want to maintain their reputation. WebMD writer Brenda Goodman contributed to this report. Vaughn Bryant, PhD, Professor, Anthropology, Texas A&M University, Texas. Selina Wang, PhD, Research Director, UC Davis Olive Center, California. Russell Rouseff, PhD, Emeritus Professor, Food Chemistry, University of Florida. Markus Lipp, PhD, Senior Director Food Standards, US Pharmacopeia. Karen Everstine, PhD, MPH, research associate, National Center for Food Protection and Defense. John Spink, PhD, director, Food Fraud Initiative, assistant professor, Michigan State University. Neil Schuman, president, Arthur Schuman Inc.
Brian Kennedy, spokesman for the Grocery Manufacturers Association. Johnson, R. Congressional Research Service, published online Jan. 10, 2014. Upton, H. Congressional Research Service, published online April 7, 2015. Mueller, T. Extra Virginity: The Sublime and Scandalous World of Olive Oil, W.W. Norton & Company, Inc., 2012. Wang S., Frankel E., Flynn D., UC Davis Olive Center at the Robert Mondavi Institute, published online Sept. 2012. UC Davis Olive Center at the Robert Mondavi Institute. Dalmia, A. PerkinElmer, Inc., published online 2013-2014. PerkinElmer, Inc., published online 2012. Hollosi L., Zhang Q., Thomas D., Acworth I. Thermo Fisher Scientific Inc., published online 2013. Dalmia A., Perkins G. PerkinElmer, Inc., published online 2013. Dar M, Idrees W, Masoodi FA. Open Access Scientific Reports, published online December 27, 2012.